For BizonBox 3, see https://bizon-tech.com/bizonbox3_guide.pdf. Apple Developers can take advantage of the External Graphics Development Kit, https://developer.apple.com/development-kit/external-graphics. For other eGPUs, egpu.io has extensive information and user forum support. 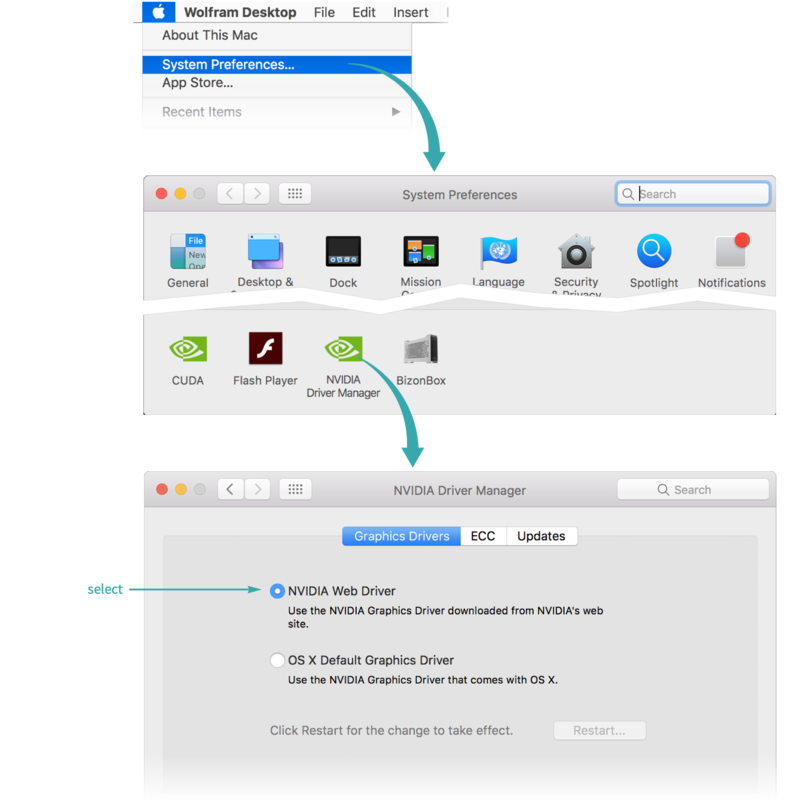 While eGPUs will work with earlier versions of the Macintosh operating system, Apple does not officially support eGPUs until High Sierra (10.13). This workflow was tested with a BizonBox 3 containing an NVIDIA GeForce GTX 1070 and a 2016 MacBook Pro. Workflows for other manufacturer’s eGPUs will be similar but differ in the details. See the CUDALink guide for a complete list of CUDA-enhanced functions. Some Windows and Linux machines have internal GPUs that can be used immediately with CUDALink.